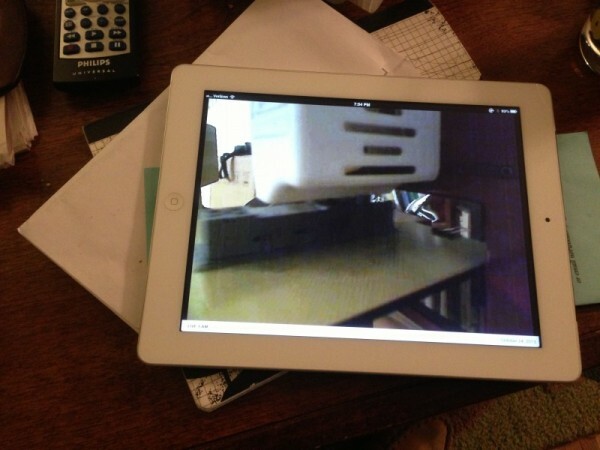 For the moment I can’t print a 3D model from my iPhone or my iPad or other mobile device. However I have found a couple of ways that an iPhone or iPad (or mobile device) can be of help in the print process. After one reel of filament failed me (it was inconsistent in thickness, which happens rarely, but is not unheard of) 2 hours into a 5 hour print, clogging inside the extruder head, I felt I needed some way to monitor the printing process without having to run up and down the stairs every few minutes. 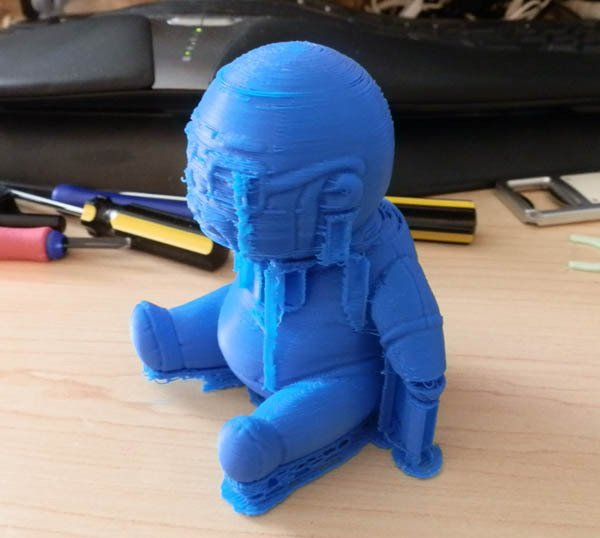 Normally prints just work. But I still feel the need to see the progress just in case bad things happen. For example, during a recent print the scaffolding supporting a part of the model that stuck off into space cracked and fell over. 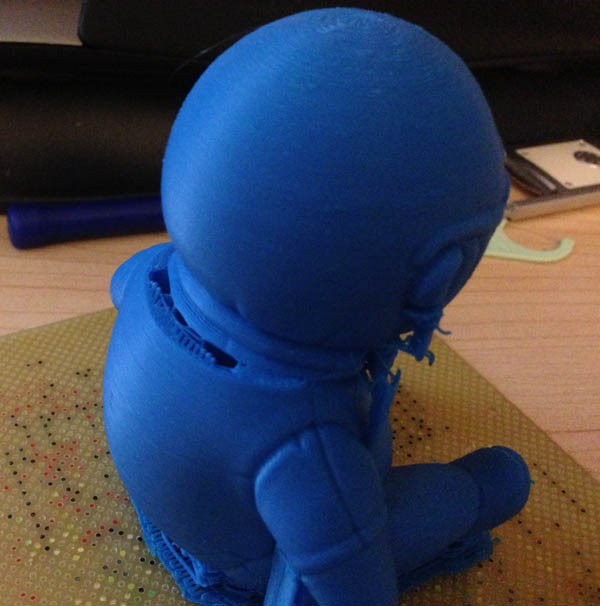 I saw it in time to pause the print, superglue the scaffold back into place and rescue my print. So I felt I needed a Nanny Cam for my printer. I went looking for something to fit the purpose. 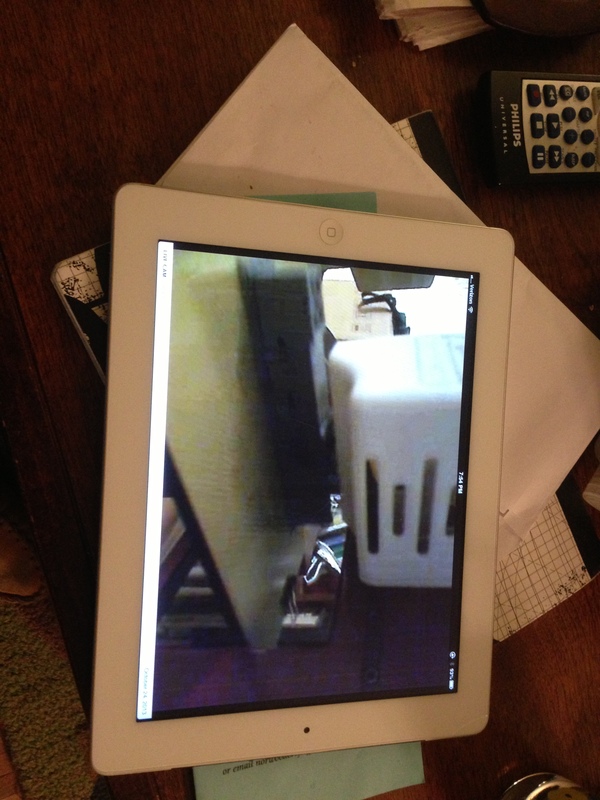 I found iCam, which runs server software on your computer which takes the output from your web cam and plays it on your iPhone or iPod. Before this I had built a fume hood for my printer. 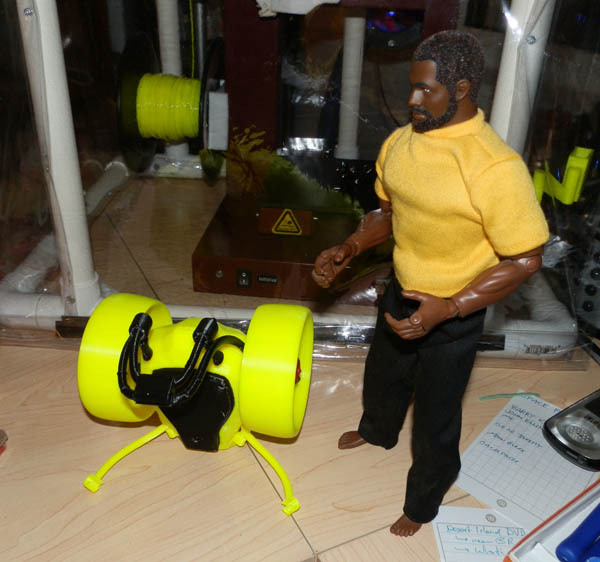 Later, I printed an armature for my web cam that could be snapped to one of the upright struts on my fume hood. Now I can monitor my prints at any time on my iPhone and my iPad. So now I use my Nanny Cam (as my wife coined it) to keep an eye on the print without having to run up and down stairs all the time. The one thing the Nanny Cam can’t do is tell me how much time is left in the print. I thought of hooking up a second web cam to just monitor the count-down timer on the Afinia print software, but duh… iPhones have an app called “Clock” which can be used as a countdown timer. I set the countdown timer to a few minutes before the print should end (by Afinia software estimate, which is usually fairly accurate.) That way I can be in the room when the print ends so I can be there to set up another print immediately. 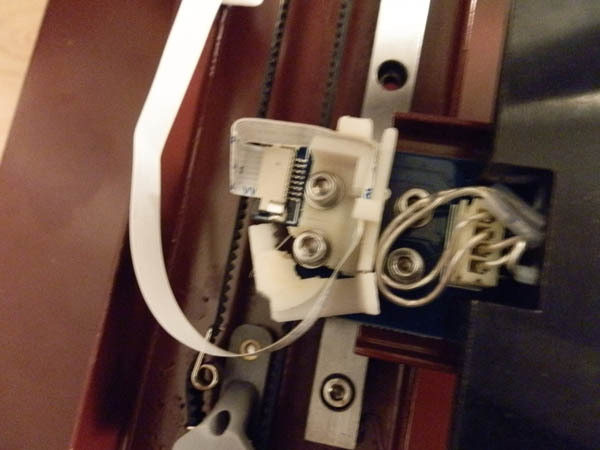 For the past two days I noticed some slippage in the front/back motor mechanism of my printer. I first noticed it on a small print. Part of the whole print just shifted about .25cm. Then later I noticed it shifted during the raft printing, in the first few layers. At about 3 hours, the print bed slipped backward just about .5cm. The rest of the print went fine, but the damage had been done. I printed a few smaller items after this with no problems. I made sure I used the software’s maintenance window to move the bed back and forth to see if I could catch any problem. It looked fine. So I printed a few small things, and they all worked ok.
Then Sunday morning I decided perhaps it was just a momentary problem and it had worked itself out. I re-printed the figure. As you can see, at around the same place it slipped again. The height is not likely the issue because the first two slippages happened far lower in the model. But what’s particularly disturbing in this case is that it slipped twice, and after the slippage the print just went all to crap. It seems to be a progressive problem now. I will try one more test print tonight, but nothing that’s going to take 4 hours. Looks like she’s goin’ back to the shop again. Now, some may think: “I told you. This tech isn’t ready yet”, I hear ya. However, when I opted to buy into a 3D printer at this fairly early stage in its development for the home, I knew full-well what I was getting into. I knew I was basically beta-testing the technology, but hey, I bought in figuratively and literally. I do not mind being part of the crowd that helps perfect this technology. 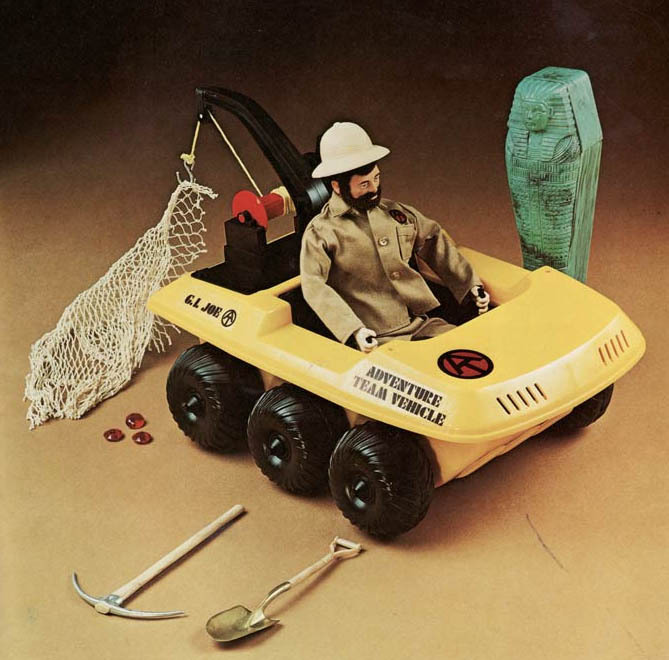 The GI Joe Adventure Team ATV is a six-wheeled all-terrain vehicle loosely based on the Amphicat from the 1970s. 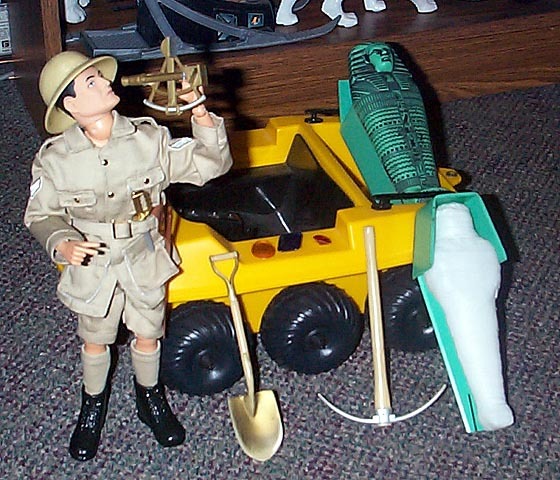 It was sold with various wonderful adventure sets, but the best-known is the “Secret of the Mummy’s Tomb”. These often went missing. So I’m trying my hand at reproducing them using the Afinia 3D printer. I’m almost out of black filament at the moment, so I’m test-printing them in green. I decided to try printing them in this orientation to see which would work better. 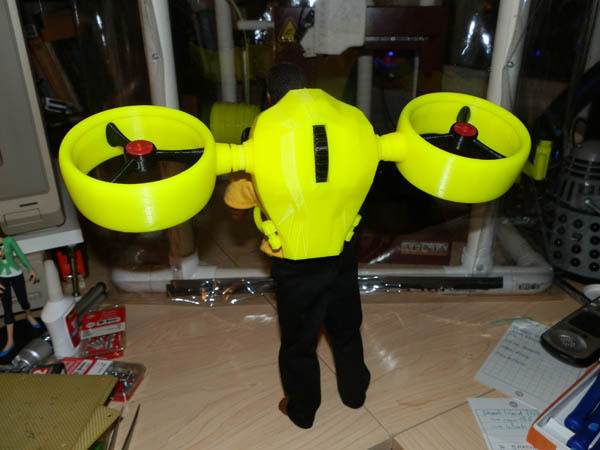 Because the additive 3D printing process prints in layers, and in the upper left version there are large areas suspended above nothing, rafting and support material will have to be printed. The one on its side would require minimal support, but the rounded edges on the underside might suffer from the support that does print. How I’d print these best depended on this test print. Turns out the side-ways version was bad. There were a number of issues that I thought would be minimized printing it on its side. I was wrong. And it turns out removing the rafting from the upright version was not as bad as I thought and the result was a far better product. 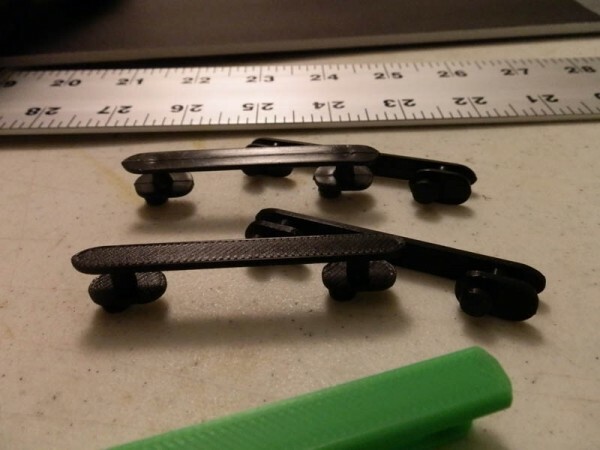 I have now printed several sets of rails and I have found that the cleanup is hard. Cleaning material around the smaller pin is risky, and often breaks the pin, but I usually end up with enough good ones to make it worthwhile. The originals are at the upper left, closest to the ruler. They have a mold seam running down the surface. The prints do not. They have a diagonal hatching which comes from the print method. Mine are sharper-edged, (a result of not rounding the model) but I like it. I don’t think I’ll shoot for 100% accuracy. I’m happy with them as they are. Also, note the longer green ones. 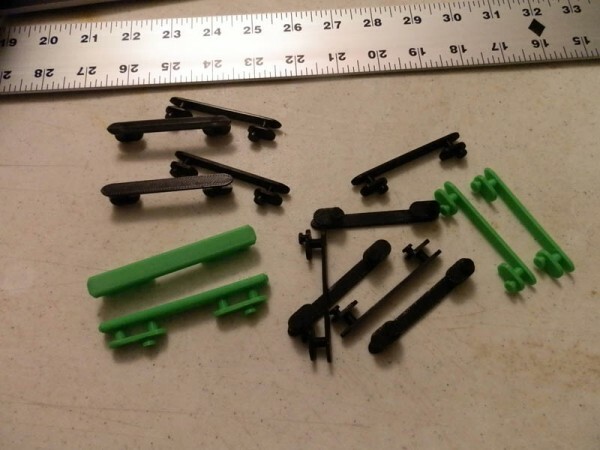 Those are my first custom rails, printed in green only as a test. But they turned out rather nicely, and show that I can really go crazy making different rails. So I began printing. I cut some pieces out of the back piece to save print time. I printed the thumbwheel, two engine shafts, and two engines. 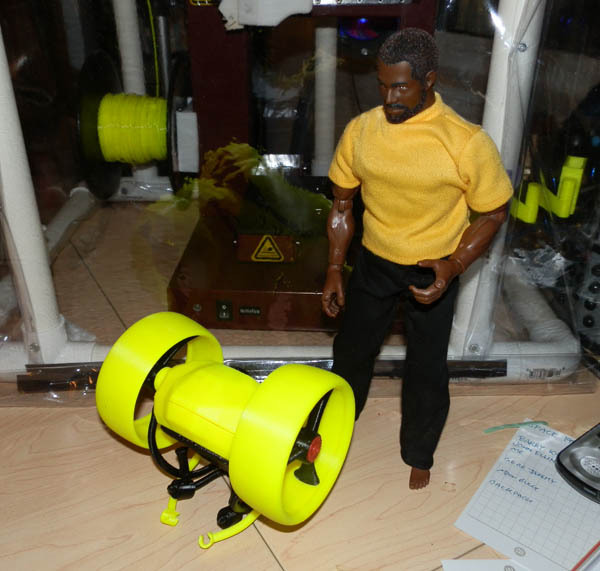 The yellow thumbwheel turns the two engine housings. It’s Super-glued in place at this point. 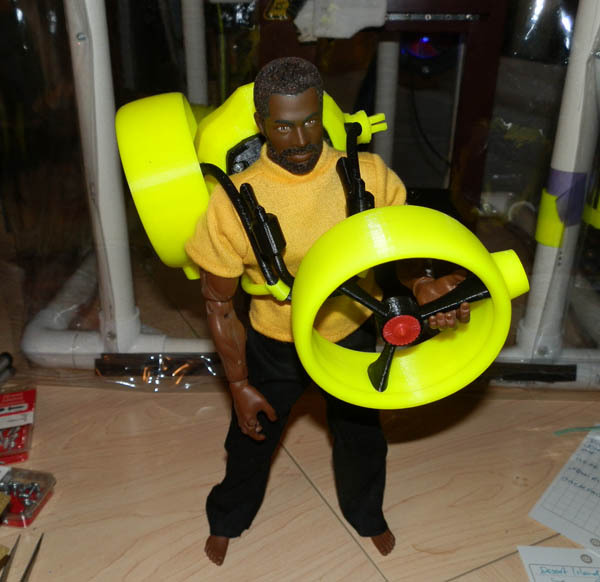 And here’s a test figure wearing the backpack with a harness slung over him. I’m pretty happy with the harness. It fit on first try. I modeled it on a wing and a prayer, and I was a bit surprised to see it work so well. 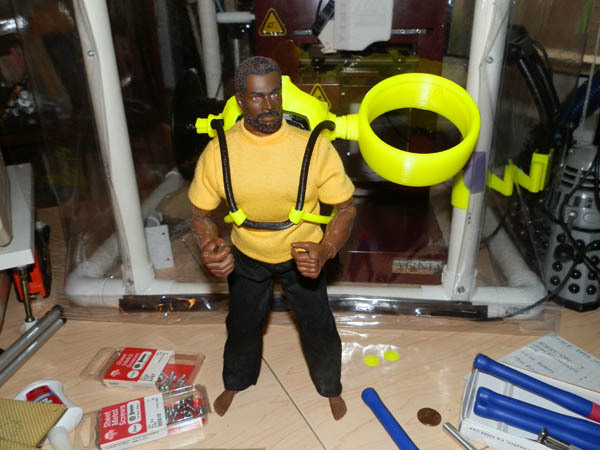 The harness will need two lower pieces to keep the backpack in place on the figure’s torso. I also changed a few things in the basic design that aren’t immediately obvious. For example, to keep the harnesses in place, I initially designed the clips on the lower harness arms that grab the upper harness to clip from the inside, so pressure would keep the arm in place. But it was awkward. So I changed it so the arms clip in from the front. They should still hold solid. I changed the shaft ends so they aren’t just cubes. Now they are forked snap tines. They fit into the engine with a snap and the engines will be tight, but they can be removed. I also recall that the GI Joe Action Pack backpacks also generally broke down from their fully functional state to something easily worn on the back. So I changed the engines to be more than just a circular housing. 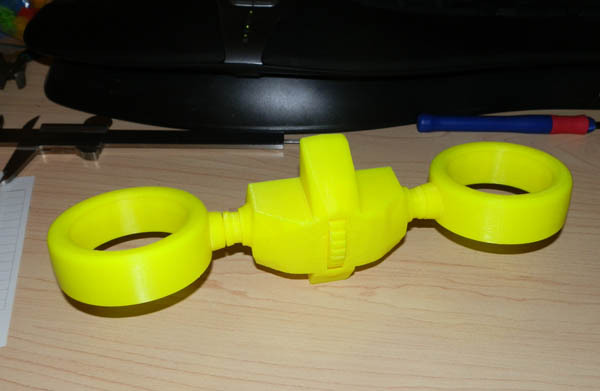 I put a hub in the center with spoke bracers. The reason is that I can remove the engines and snap them to the shafts by the hub and the backpack can be carried easily. The forked snap tines will serve dual purpose. 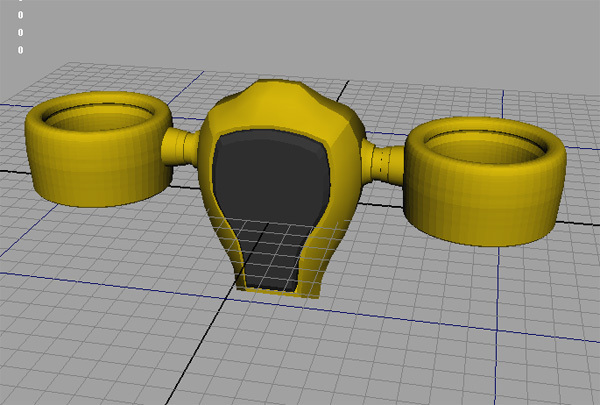 I will be adding modeled detail to the outer rims of the engine housings and on the body. Also, there is a rather clever (I think) control handle system coming. 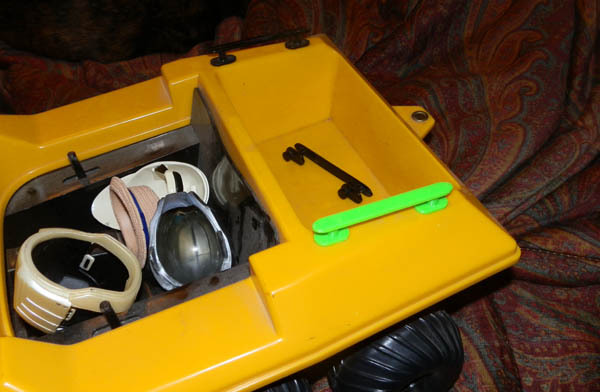 It will be attached to the flat bottom part of the harness, and hinge down for use and up for storage/carrying. 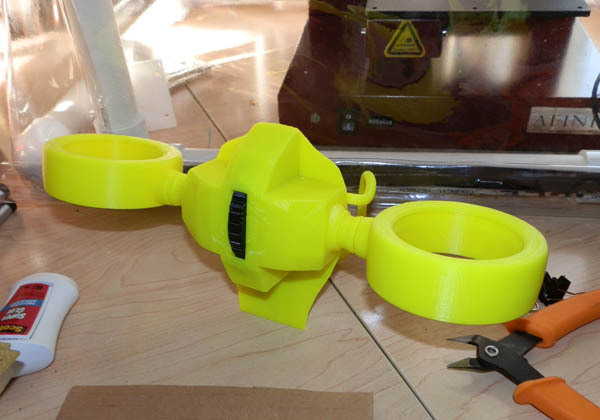 As of this morning, printing a few extra parts to make the second engine, I’m ready to reveal the first prototype of the Adventure Team Jetpack Backpack. Here it is, folded on the floor, ready for use. 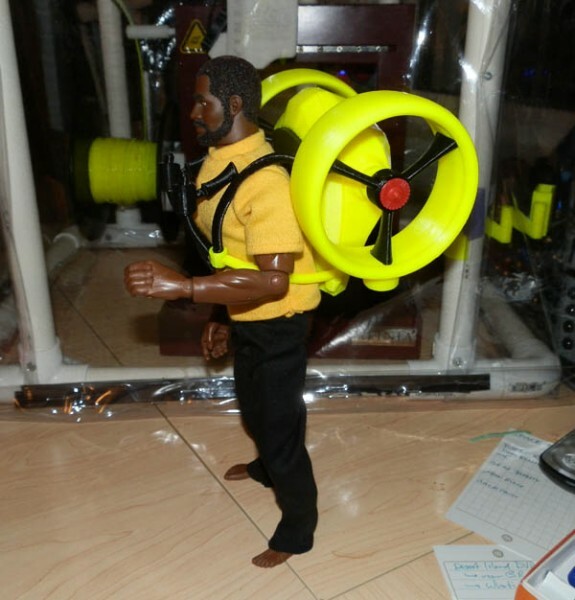 Like the Action Packs of the original Adventure Team era, the concept was to fold up to be carried. The two engines have hubs that snap into the same arm tines that the engines themselves fit into, for a compact, carryable shape. 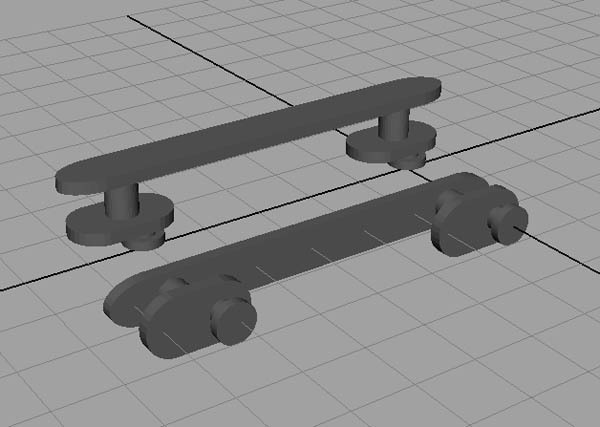 Note that I hope to also model and print a storage rack for a standard Adventure Team ATV, much the same way the winch attaches to the back. The upper harness holds the control arms, which are on a hinge. Here, our test pilot wears the backpack to show that, like the Escape Car, it is large and possibly heavy, but completely wearable. 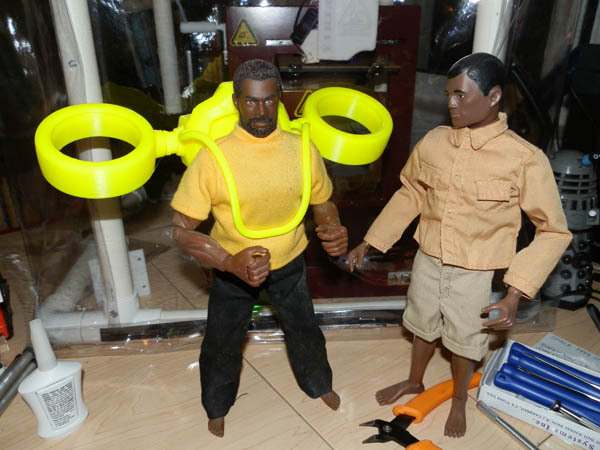 Note: the two lower harness arms will eventually be in black. Our test pilot swings down the control arms. 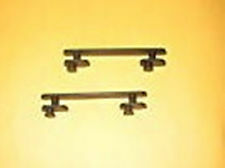 The joysticks can be adjusted inward and outward slightly, though the curved arm makes a lot of adjustment impossible. I may have to straighten those for better adjustability. I do have a few planned revisions, like adding a bit of nice detail to the body, including an AT logo that will be printed in black and red and inset into grooves custom-shaped to fit them. I also have two sets of lower arms. The body of a vintage Joe is a bit thicker through and the lower arms will need to be a bit longer for a vintage Joe compared to a modern Joe. 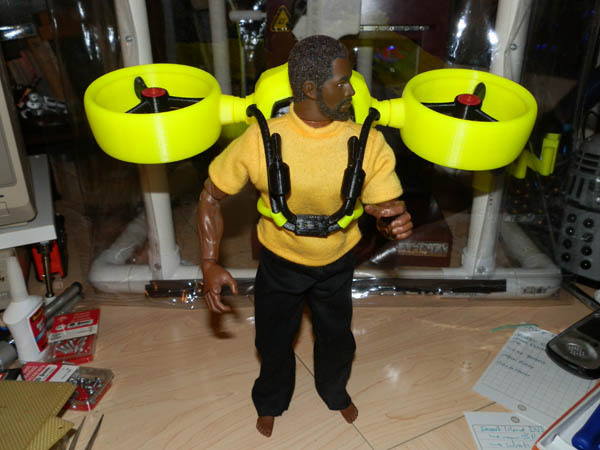 But depending on what clothing Joe will wear while flying it, it may be better to use the slightly longer arms anyway. It is currently printed in hi-vis yellow, which is a color I got with my printer that I’m not overly fond of, so I use it for test prints. This one actually doesn’t look all that bad in hi-vis yellow. But I’m planning on printing the second version in a more typical AT yellow. Well, there you have it. 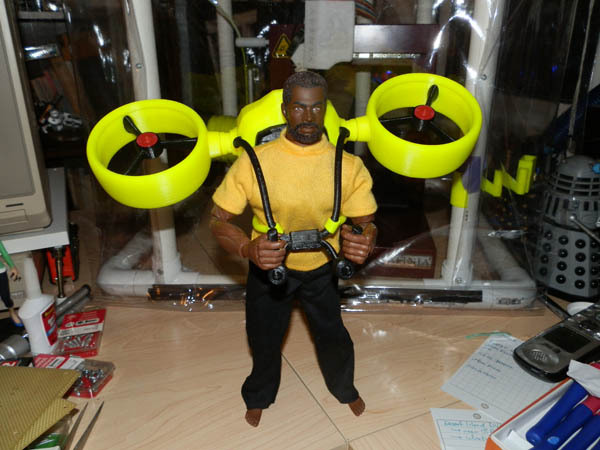 My first prototype GI Joe toy.